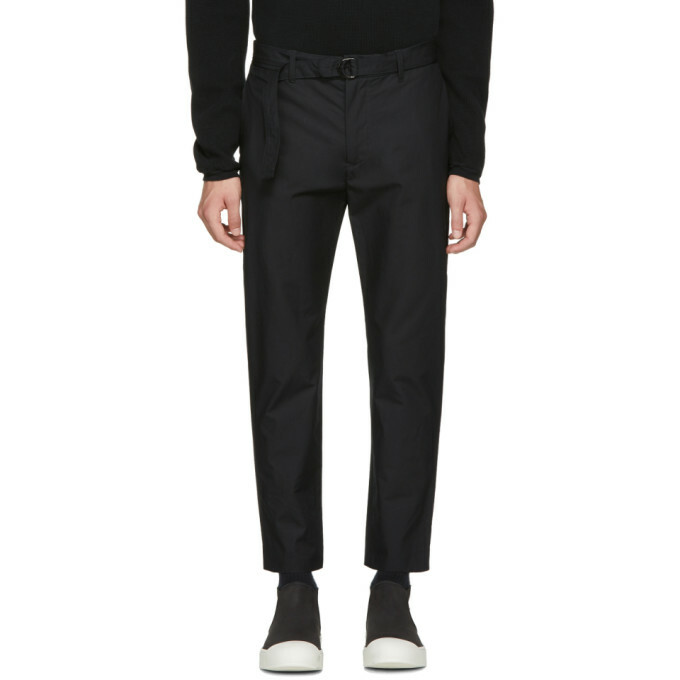 Slim-fit water-repellent cotton poplin trousers in black. Mid-rise. Detachable cinch belt at waist. Four-pocket styling. Logo flags at back pocket. Zip-fly. Unlined. Gunmetal-tone hardware. Tonal stitching. 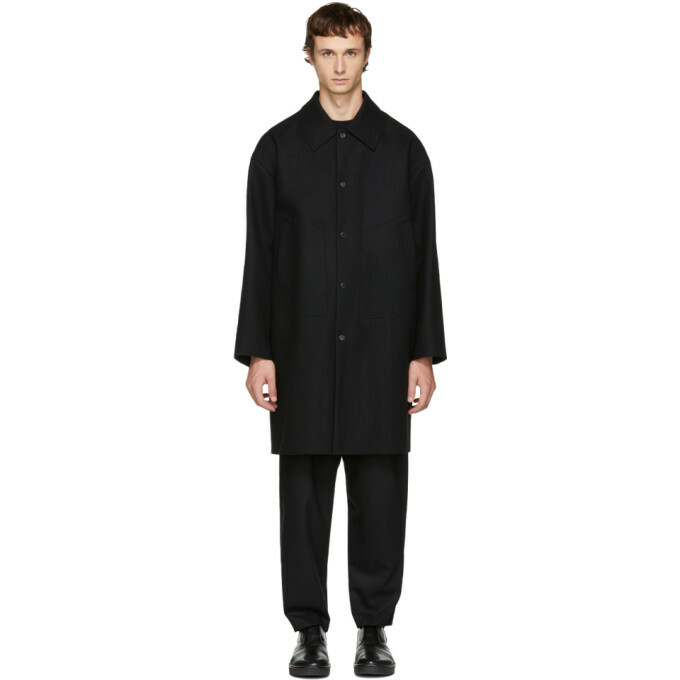 Long sleeve wool and cashmere-blend melton coat in black. Raw edges throughout. Spread collar. Press-stud closure at front. Welt pockets at waist. Box pleat at back yoke. Unlined. Gunmetal-tone hardware. Tonal stitching.